HPVA claim – “the U.S. Department of Commerce found preliminary dumping margins of over 100%.” Fact – this statement is false. The DOC has FOUND NO preliminary dumping margins. The DOC’s action on Friday, December 9th was a notice of initiation of the investigation. This means that the investigation is only beginning. The DOC must undergo a complete investigation of selected mandatory respondents before any preliminary duties can be put in place. In addition, the ITC must make a preliminary injury determination. Furthermore, HPVA’s initiation margins now are just as meaningless as they were in 2012 when the petitioners alleged 310% but DOC actually found ZERO AD margins at the preliminary determination for all individually investigated companies. The petition margins are great for press releases but they are pure fantasy. HPVA claim – “the US Department of Commerce identified 30 Chinese government subsidy programs that may be countervailable.” Truth – This statement is true but misleading. There has been NO preliminary finding of subsidy programs on Chinese plywood. The DOC has merely initiated an investigation. No CVD duties are now in place. 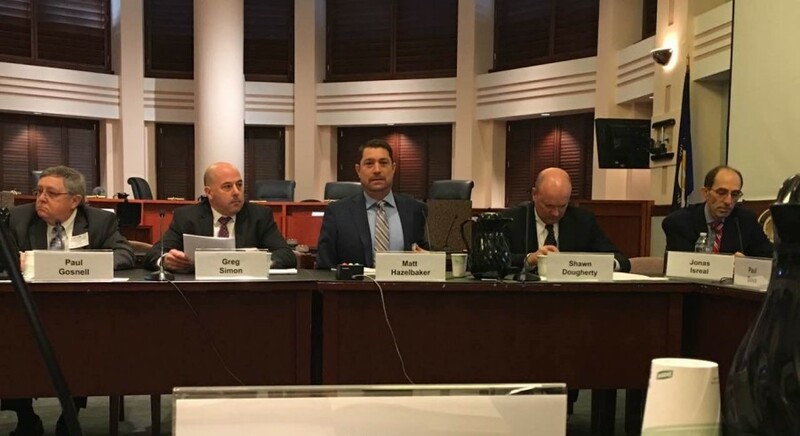 Our CEO, Jonas Israel, participated as a witness at the International Trade Commission’s preliminary hearing on Friday 9th of December in Washington, DC, together with other members for the American Alliance for Hardwood Plywood (AAHP) to get the petition against Chinese Hardwood Plywood dismissed. 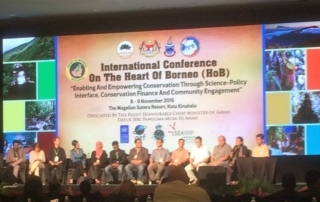 On the 8th and 9th November 2016, McCorry & Co. Ltd. participated in the International Conference on the “Heart of Borneo” (HoB) in Kota Kinabalu, Sabah, Malaysia. This year is the 9th year that the conference is held – each year with a different topic. HoB is a cooperation between Malaysia (the states of Sabah and Sarawak), Brunei and Indonesia. HoB refers to the main part of the island where forests remain intact. Covering an area the size of Utah in the US, Victoria in Australia or the whole of England and Scotland put together and extending into the territory of the countries of Brunei Darussalam, Indonesia and Malaysia, it is one of the largest transboundary rainforests remaining in the world. The HoB Initiative is a unique government-led and NGO-supported program that was initiated by a joint Declaration by the governments of Brunei, Indonesia and Malaysia in 2007. The aim of the program is to conserve the biodiversity of the Heart of Borneo for the benefit of the people who rely upon it through a network of protected areas, sustainable management of forests and other sustainable land uses. 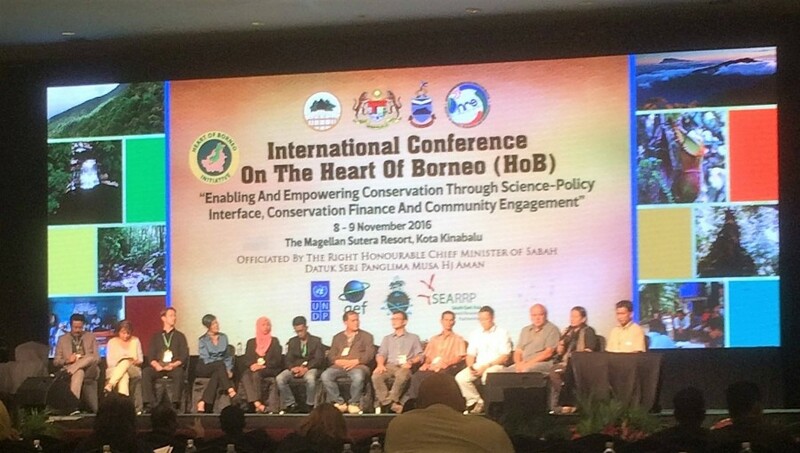 The objectives of the conference were to provide the platform to deliberate on the current affairs pertaining to science-policy interface, conservation finance, and community engagement in tropical forest management; and to discuss the crucial issues for long term implementation of the Sabah Heart of Borneo Strategic Plan of Action. The conference divided into three sessions which were Conservation Finance, Community Engagement and Science-Policy Interface. From McCorry & Co. Ltd, Jonas Israel and Noor Faredzah attended the Conservation Finance & the Community Engagement sessions. 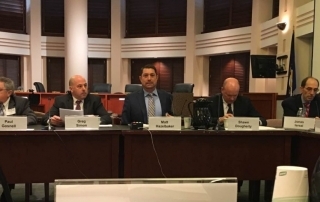 The Conservation Finance session provided sharing on the practice of raising and managing capital to support land, water and resource conservation. It also provided sharing on the conservation finance options and how the public and private sector can play their role to contribute in the Green Economy. The Community Engagement session focused on the importance of the participation of the community to achieve the success in conservation as they are the inhabitants and hence, are part of the HoB in Sabah. By working together with the communities, it will ensure the sustainable development while conserving the environment. The conference had international speakers from all over the world and over 300 delegates. Jonas Israel, McCorry & Co. Ltd., has participated regularly in the HoB conferences. McCorry recently participated in Sabah Forest Law Enforcement, Governance and Trade ( FLEGT ) Stakeholders Consultations Meeting 2016. This meeting was held to discuss the revision to the Principle 5 and 6 of the Sabah Timber Legality System (TLAS) presented by the Sabah Forestry Department and 3rd party auditor Global Forestry Service (GFS).GFS is McCorry’s auditor under the Wood Tracking Program. The revision of Principle 5 was made on logs input and output of the mill operations and Principle 6 covered revisions on import regulations on trade and customs requirement. The TLAS system is the state of Sabah’s 3rd party verified system on legality and sustainability of forest based commodities. It begins with sustainable management of the forest and tracks the wood in the form of logs to the mill and the processing of the logs, up to finished products that is being either exported or sold in the domestic market. On 3rd March 2016, McCorry’s representative attended a “Dialogue to Define Corruption” conference organised by the United Nations Global Compact (UNGC) Malaysia. The dialogue was regarding Malaysia’s challenges in the area of corruption and the efforts for a corruption free Malaysia towards 2020. Conducting a business with integrity is not easy, but it is definitely possible. Therefore, Malaysia should play its part to maintain the country’s international status as an attractive place to invest and do business. From the beginning McCorry has fought corruption if we encountered it. Corruption is simply against the fabric of our company. Transparency and integrity is part of McCorry’s business ethics. We have been awarded the “BSA Genuine Corporate Award 2012” from Guests of Honour, Encik Mohd Roslan bin Mahayudin, Director of Enforcement, Ministry of Domestic Trade, Co-operatives and Consumerism (MDTCC). We are among the representatives from 50 companies throughout Malaysia to receive the award. BSA hosted this ceremony on 27th Sept 2012 at the Le Meridian Hotel, Kuala Lumpur in recognizing our commitment in using genuine software, and for instituting good software assets management practices within the organization. During the event, BSA’s Senior Director – Marketing, Asia-Pacific, Roland Chan commented that over the years, BSA has always collaborated closely with the Malaysian government on various educational and awareness programs with the main purpose of encouraging corporates in Malaysia to use original licensed software. BSA members include Adobe, Apple, Autodesk, AVG, Bentley Systems, CA Technologies, Cisco Systems, Intel, McAfee, Microsoft, Rosetta Stone, Siemens PLM Software and Symantec. McCorry & Co. Ltd obtains full Tier II status under C-TPAT. On the December 8, 2010 McCorry & Co. Ltd was informed by U.S. Customs and Border Protection/C TPAT/Industry Partnership Programs that the company had successfully completed the validation process under C-TPAT and that McCorry qualifies for Tier II benefits under the C-TPAT program. Today McCorry was notified by the Supply Chain Security Specialist assigned to us by U.S. Customs and Border Protection that the additional responses requested had been approved and the company is now fully accredited. To achieve this, McCorry obtained a FSC® Chain of Custody (CoC) certification. In addition, McCorry is participating with Global Forestry Services (GFS) in their Wood Tracking programme. To differentiate McCorry from other Wood and Timber suppliers, McCorry has also adopted a strong quality assurance approach. You will find that McCorry has its own team of timber graders at supplier facilities certifying that all products are produced to the standard specified by our customers. Other initiatives, McCorry has undertaken to invest in Research and Development. These programmes have been aimed at increasing usable wood from raw materials and identifying other commercially viable products that can increase the raw material yield.